The Law Firm JUDr. Marek Czompoly s.r.o. is a Slovakian law firm with the seat in Bratislava. The law firm legal services in the whole region of Slovak republic, mainly in the spheres of trade, civil, labor and criminal law. Our aim is to provide the client with complex legal service on the professional level with emphasis on high level of proficiency, flexibility and efficiency of services provided. When dealing with legal matters of our clients we use the latest informational technologies, which together with our highly qualified personnel allow us to pursue legal services effectively, promptly and with the best possible quality of work. The Law Firm JUDr. Marek Czompoly renders legal services, which are able to satisfy the needs of every client. The law firm cooperates with executors, notaries, legal experts, auditors, interpreters, account and tax advisors, thanks to which it is able to reach great efficiency in dealing with entrusted cases. The law firm has rich experiences and great successfulness in management and recovering receivables thanks to the close co-operation with partnership executive office. 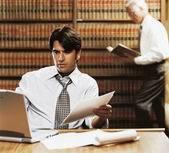 The law firm also closely co-operates with the Law Firm of JUDr. Roman Škerlík and JUDr. Martina Semančíková. High quality service, long-run experiences of professional staff, language skills, stress on renown, and reliability of service, fair prices and transparent accounting are the main characteristics of the Law Firm JUDr. Marek Czompoly s.r.o.. The contentment of our clients is the solid evidence of these proclamations.